Could you grade my home schooling essay? Education was carried at homes for centuries. There were not schools. Teachers were hired for wealthy people. The poor could not afford for teachers so their children did not take any education. The most people were illiterate. Then appeared voices that more education could improving life of all class of society. So schools were established, but education at home was still popular at wealthier homes. Both school and education at home have some advantages and disadvantages. Teaching children at home gives them more opportunity to understand any subject. All attention is paying to one pupil and every question is answered. There is no possibility to cheat or be unprepared to lesson. Students could develop their interesting in any subject very easily. This is the better way to be very good prepared for every exam. But, in general, this is the most expensive way to have well educated child. Children, who are educated alone, have less friends and colleagues, are more selfish and could have difficulties in adult life. School, again in general, is reasonably cheaper than home education. There is less attention for one pupil but among more children is some kind of rivalry. Students learn because want to be better than friend or colleague. They meet more people so their life is more civilized. Friendship for all life starts very often in school. Adult life has less mysteries for them than for children educated at homes. However there are more violence, more opportunity to meet bad company and finally end school without any education. In conclude, school has more advantages because not only teach, but also socialize pupils. And for parenting two of the most important subjects are good education and good breeding. It is the best preparing for adult life. In your essay you have too many ideas which are not supported with reasons or examples. You are better with fewer ideas that are fully explained. Make sure you brainstorm and plan first. Choose your best brainstormed ideas and then decide how you will support them. Also, you are asked to give the advantages of both methods. So you should have one paragraph on the advantages of homeschooling and one on the advantages of being educated at school. However, your organisation is a bit confusing. Also you need to work on your grammar because there are quite a few errors. Some believe that it is better to teach children at home whereas the majority of people believe that it is highly recommended to send them to school for their better development. In my opinion it is more appropriate to send children to school instead of teaching them at home. One of the biggest advantages of sending a child to school is to improve his social skill. Children will develop social skills when they are admitted in a school by interacting with their teachers and fellow students. As children’s comes from various family backgrounds and are from different financial status, they tend to learn a lot among themselves more likely by noticing each other. For example, to name a few, a child can learn about other religions or moral practices of his fellow students or he can learn the dressing habits or way of speaking of his fellow students. Secondly, the growth/development of the child is assessed on a regularly basis by conducting exams in a school .In this era of high competition among schools to gain popularity, this process will have impact on students as it will make them become more competent and will make them ready to sustain in the really challenging world. On the contrary, teaching the children at home also has few advantages. If children are taught at home, with complete attention/focus on the only child, he is more likely to understand the subject well. Secondly, children can be taught in a more amicable way and will be more comfortable when they are accompanied by their family at home. The dearest advantage of all discussed so far is, parents are no more required to worry about paying of high fees to schools. It is not required to pay heavy tuition fees, transport charges and purchase any of those school uniforms. In conclusion, both of the approaches has their own advantages but sending the student to school will make him more successful in his life whereas teaching him/her at home might results in lesser fees for education but will not make him competent in the world. There is no need for a title in an IELTS essay. Task response is very much straightforward from the beginning and illustrations are very logical. Very good, nice & interesting Homeschooling essay!!!!!!!!! Please check the following and help me correct my mistakes. Please check the following on Home schooling essay. Education is an enabler and every individual should have access to it. Whilst some people believe studying from home is beneficial, others have the opinion that formal schooling is essential for every child. 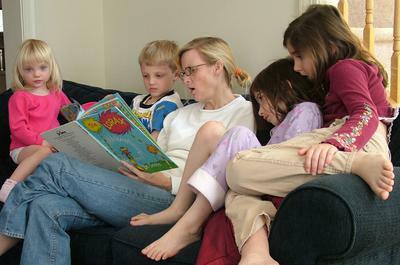 It is certainly true that homeschooling saves lot of time and money. To begin with, on an average 8 to 9 hours in a day are spent out of home for the purpose of schooling which includes the commutation time too. The effective study time is not beyond 4 hours. A lot of time, for instance, is wasted in extracurricular activities like celebrations and picnics. Also, the schools today have become a business center where extremely high fee is charged. Management fee, annual fee, activity fee, infrastructure fee, tuition fee, lab fee etc. are some examples of money charged under various heads by these schools. However there are other benefits for children and society. Firstly, the regimen of going to school develops a sense of discipline in them. At school, also, a series of activities and events one after the other, period after period enables them to multitask as well as consolidate at the same time. Moreover, schooling helps children in making new friends. As a result their maturity and confidence grows enabling a fulfilling life for them. Furthermore schooling provides a healthy competitive environment where children can analyze their strengths and shortcomings with respect to their peers. To conclude, I believe that education is a must for all and attending schools is equally important. Schooling should be encouraged to make a liberal, open and better future for everyone. Education is a vital element of children's development. Nowadays parents are allowed to choose either teach a child at home or sent him/her to public school. Both choices have pros and cons, but in my opinion, attending public school is a better choice for a student then a homeschoolling. On the one hand, benefits of homeschooling cannot be overlooked. Students have flexible timetable and individual approach taking into account special needs of a child. Parents or tutors can adjust method of delivering information and pay attention to topics that student cannot understand. Also, it is known that information obtained in quite environment without any pressure or noise is easy to understand and memorise.Moreover, children in homeschools will not have a bad experience of bulling and unhealthy competition. However, human beings are social beings and children learn from peers and adult how to cope with the social issues. Modern educational curriculum pays lots of attention on developing social and emotional skills. Facing with good and bad examples of behavior children learn what is good and bad and this play crucual role in personal establishment. Also, schools have facilities for extra activities such as sport and art that can help develop child's talents and interests. In addition, school friend are usually become longlife friends. As an illustration, my best friend is my school friend, i know her from preschool and for me she is like sister. In conclusion, parents want to make the best choise for their children,and the method of eduction is the crutual one. So all benefits and drowbacks should be taken into account. But in my opinion, public schools are the perfect place for harmonious development of a child. Homeschooling is better than school. In general, most of the children study in public or private school, which is the formal way we gain knowledge from. However, some other people assert that homeschooling has more benefits. Although there are discussions on both sides, I strongly disagree that homeschooling is better. To begin with, the reasons why people prefer homeschooling consider several benefits. First, the time schedule is more flexible than school. Parents can arrange the time of learning courses freely without the fixed routine. Second, it depends on the children’s interests of what they are passionate to study so they can be more concentrated in the subjects. Third, children do not need to worry about the stress of competition with other students. They can follow and adjust their personal progress to study, thus it is more effective for learning. Despite I agree with some points above, the drawbacks of home learning far outweigh its advantages. Firstly, children are not likely to learn the general knowledge at home if they only focus on certain subjects. Their understanding and knowledge on various fields will be limited. Second, the lack of competition between the peer students will weaken the children’s ability of competitiveness. The less stress of competing with others, the less motivation of improvement and pursuit of better result. As a consequence, the capacity of pressure handling is lower considerably, especially adapting in the working environment in the future. Lastly, children barely have chance to develop the social skills undoubtedly due to the less interaction with the fellow children. They will become more introverted. The potential ability of leadership, communication and problem solving skills are diminished. To conclude, I am not in favor of homeschooling. It limits the children’s whole personal development and a slower learning progress. Studying in formal school is more beneficial in terms of the physical and mental purposes. Comment below on Florence's Homeschooling or School Essay in order to help her improve her score for IELTS writing. a lot of new words. Academic. I can't understand. If you strongly disagree to homeschooling, you should not point out it's advantages. If you strongly disagree to homeschooling, you can still discuss it's advantages. You just need to word it carefully to make sure it is clear you are showing other people's views, and not your own. This can be more difficult if you have weaker writing skills. If you are less confident about this and have more difficultly expressing yourself, then you are better to just stick with the disadvantages, as this will be easier. I disagree because some people can have problems at school like with reading and writing but the worst part is i am in 6th grade and its the 3 trimester and i'm 98% of redoubling like if i am just tell me for me to be homeschooled. I don’t care about the time but homeschool is better. What do you think?